Avg. Group Discount of 38.3%! 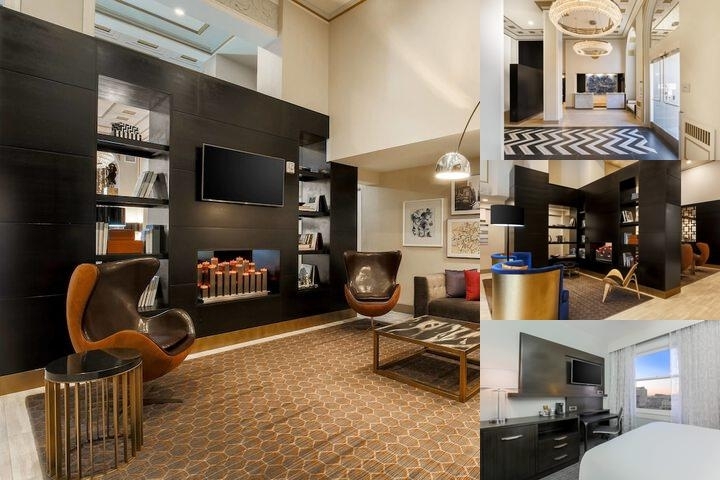 Book your stay at the Courtyard Marriott San Francisco hotel near Union Square & experience a decadent mix of Nouveau History & outstanding amenities. The Courtyard San Francisco Union Square is nestled within a historic building yet manages to effortlessly carve out a history of its own. Settle into one of our high-floor rooms & experience Million-Dollar Scenic Views of Downtown San Francisco. All of our well-appointed rooms feature complimentary Wi-Fi & Luxurious Bedding. Work up an appetite in our Union Square hotel's fitness center. Then, grab a bite to eat & a cup of Starbucks® coffee at Cafe Maurice, our hotel Cafe and choose to dine in or dine al fresco on our outdoor terrace. Explore San Francisco by Cable Car & visit nearby attractions like Ghirardelli Square, Fishermans Wharf, & the Metreon shopping center. If visiting for work, host your meeting like a Technology Titan in our Custom Boardroom. The Golden Gate City awaits; so book your stay at the Courtyard San Francisco Union Square Hotel. A la Carte pricing in Café Maurice. Below are the meeting, banquet, conference and event spaces at Courtyard by Marriott San Francisco Union Square. Feel free to use the Courtyard by Marriott San Francisco Union Square meeting space capacities chart below to help in your event planning. Hotel Planner specializes in San Francisco event planning for sleeping rooms and meeting space for corporate events, weddings, parties, conventions, negotiated rates and trade shows. 24 x 14 x 9 Ft.